I’m just back from 5 lovely days on the cote d’azure. 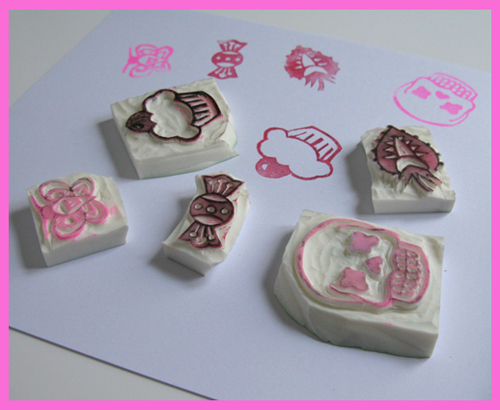 While I was relaxing I tried carving some little stamps. Apparently it’s all the rage in Japan, but I don’t know what this craft is called. It was super easy to cut into the rubbery surface. I think I’ll try to do some larger images to resemble lynograveur.